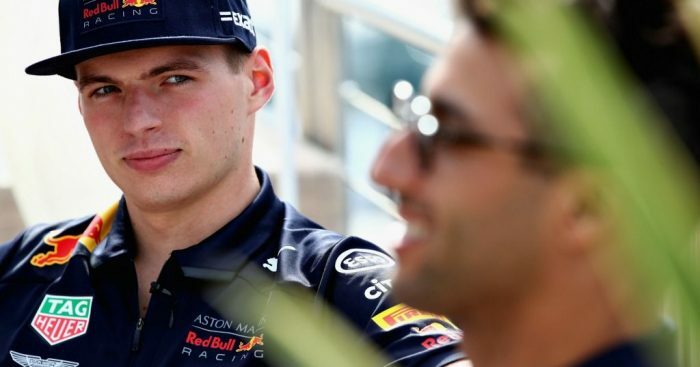 Red Bull boss Christian Horner has speculated that Daniel Ricciardo has decided to leave the team so he does not have to play a support role to Max Verstappen. Ricciardo, who had set his sights on moving to Ferrari or Mercedes in 2019, is joining forces with Nico Hulkenberg at Renault instead after deciding it was time for a change. While Red Bull are still coming to terms with Ricciardo’s decision, Horner now suspects that Max Verstappen was a big factor in the Aussie’s decision to leave. “Daniel said he decided after a long flight to America that he wanted a change,” said Horner on F1’s official podcast ‘Beyond the Grid’. “If you look at the rational reasons for that, it’s difficult to understand. “Daniel had his reasons. I think it comes back to wanting to take on, his words, ‘a new challenge’. “But I also feel he sees Max growing and growing in terms of speed and strength and he doesn’t want to play a support role I guess, for want of better words. “It’s not that they were treated in any way different. They would have absolute equal status, as they’ve always had. I can’t help but feel that was perhaps a large part of Daniel’s decision. Horner also warned Ricciardo that he is taking a “massive risk” in essentially moving down the grid with Renault. “I thought he was winding me up to be honest when he rang me to say ‘I’m going to Renault’,” Horner added. “I said, ‘is this a wind-up for the summer holidays’? “It then became very clear that was his choice and you have to respect that.